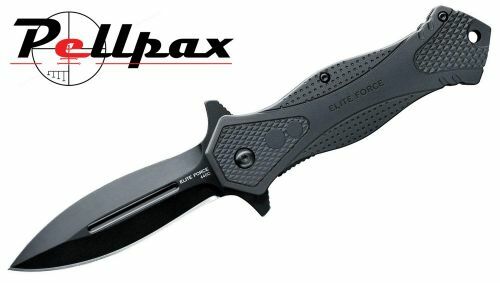 This quality folding knife from Elite Force has been designed with a symmetrical appearance, with a dagger type blade for excellent cutting ability. The blade is made from 440-C Stainless Steel for a strong edge retention, as well as rust resistance. Other features include a liner lock mechanism, flipper opening aids and a belt clip so its always within easy reach.